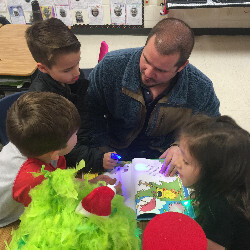 Home Connect allows parents to see how the child is performing in AR and sign up to receive an email when the child takes a quiz. 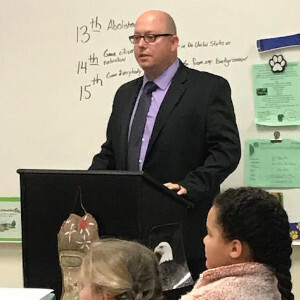 Renaissance Welcome to Parents and Guardians has answers to frequently asked questions about Renaissance products. 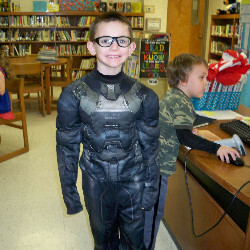 In Math, Westover does Math Facts in a Flash. 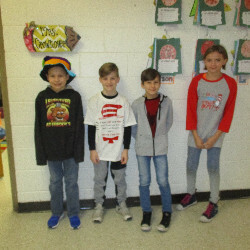 National Honor Roll was made this year by homerooms keeping an average of 85% correct and 20 minutes engaged reading time. 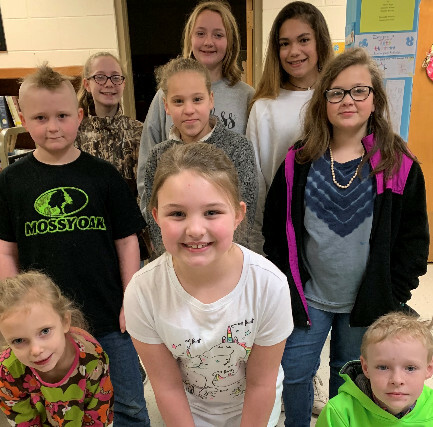 Congratulations to our Westover Bears! 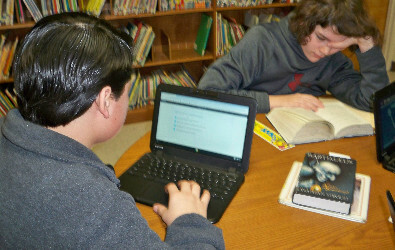 Use Follett Destiny, our library catalog, to search for books in our library or other county school libraries. 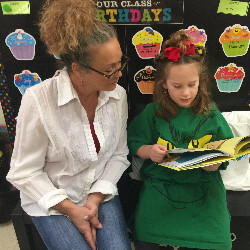 Screen Actors Guild Foundation features SAG members reading childrens books aloud! Robert Munsch reads all of his stories aloud on his official site. The book is not shown, but hearing him read is an experience. 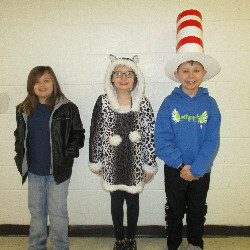 Tennessee R.E.A.D.S....You need a library card from Everett Horne Library (or a Tennessee public library) to access these ebooks. You will need the Overdrive Reader app on an iPad or can use Kindle. Click on "book related" to choose books that are read aloud. Free books that are in the public domain are available from a variety of authors. You may read the books online or offline. Bibliomania offers over 2000 great classic texts for download. Links to study guides and teacher resources are also available through this site. Mighty Book has free books, music, and games. These will be sent to the TASL (Tennessee Association of School Librarians) state contest. 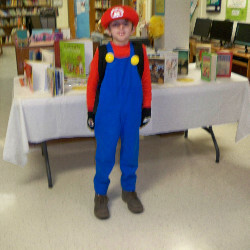 TEL Tennessee Electronic Library-World Book; magazine, journal, and newspaper articles; videos; e-books, etc. 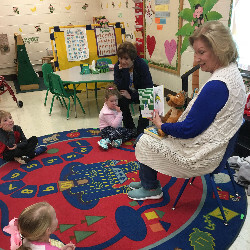 Mrs. Teresa Crownover, from the Henderson County Board of Education, reading Green Eggs and Ham to Mrs. Tina Frizzell's class! 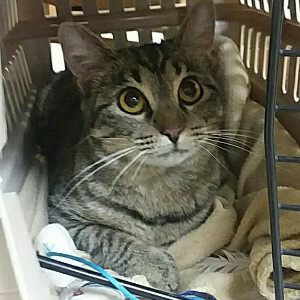 Great to have her! Mrs. Renee Maynard, our principal, reading Sidney and Norman, the Tale of Two Pigs, to Mrs. Tina's first graders! 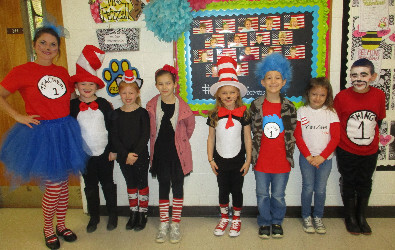 Mrs. Tina's bunch with their Cat in the Hat hats! 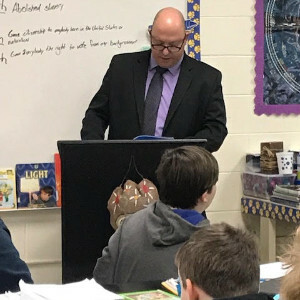 Mrs. Daniels invited the mayor to read The Lorax to her fifth graders! Talking to the students, who enjoyed having him read and visit! 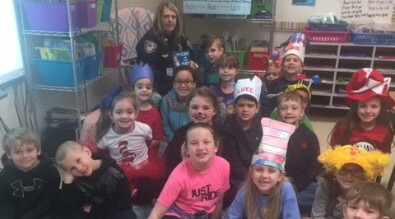 Captain Donna Hetherington, from the Lexington Police Department, read The Cat in the Hat to Mrs. Overman's class. 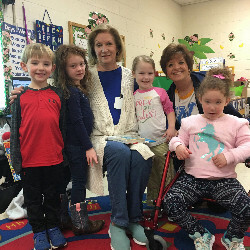 They enjoyed talking with her! 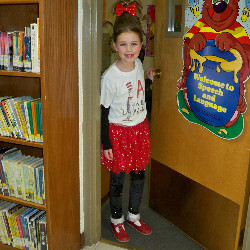 Thanks to her for taking time out of her day to come! 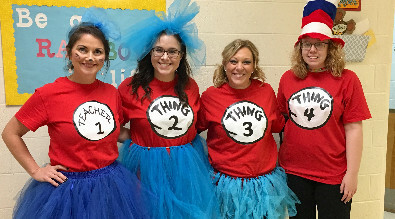 What a team of teachers! Mrs. Tina Frizzell, Mrs. Andrea Wilkinson, Mrs. Kassie Overman, and Miss Amber Vineyard! Second graders eating bread and butter after reading The Butter Battle Book in Mrs. Elise Eads's room! He chose butter side down in the battle! He chose butter side up! 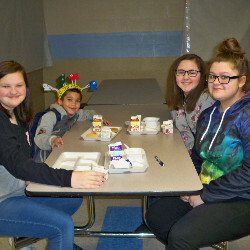 Mrs. Andrea Wilkinson's class had parents join in the celebration! 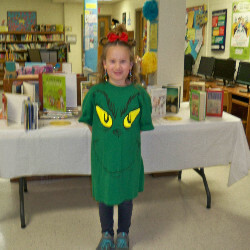 The first graders enjoyed having parents reading Dr. Seuss books! This group of Mrs. Wilkinson's is enjoying this, too! 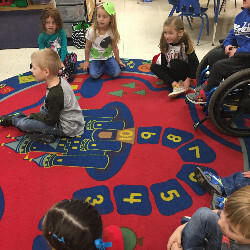 More of Mrs. Wilkinson's visitors! A grandmom! 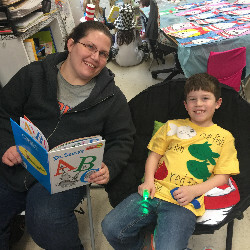 Mom reading with her Thing 1! Mrs. Wilkinson's first graders did a super job with watercoloring painting! 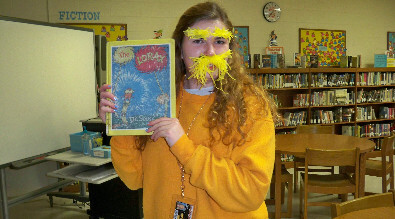 Our fourth grade student teacher, Miss Rachel Roberts really dressed the part as the Lorax and also read the book to the fourth graders! Good luck to her in her next student teaching position and her teaching position in the fall! 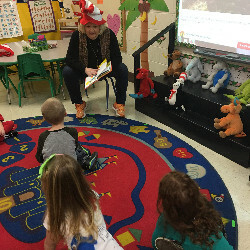 Pre-K had a guest to read Green Eggs and Ham! 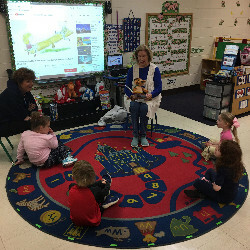 Pre-K loves having stories read to them! 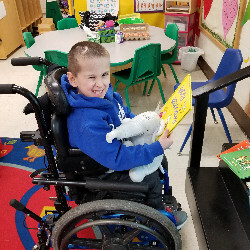 Reading his Dr. Seuss book! 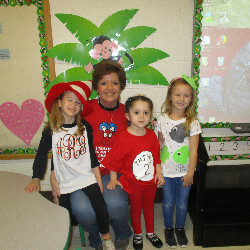 Mrs. Theresa Sadler's Pre-K eating green eggs and ham! 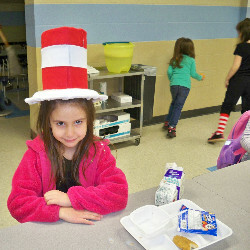 Mrs. Mary Edens is serving green eggs and ham! 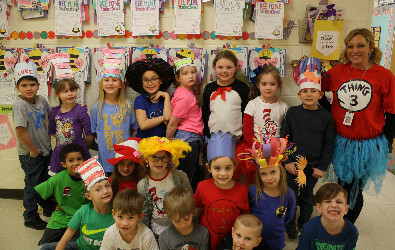 What fun in Mrs. Theresa and Mrs. Mary's class! 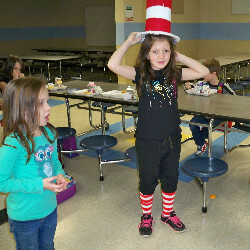 Cat in the Hat looking great! 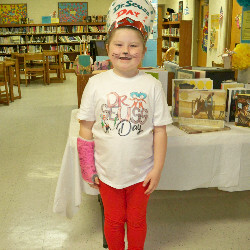 Another cute Cat in the Hat! Cindy Lou and the Grinch! Spiderman reading a Spiderman book! 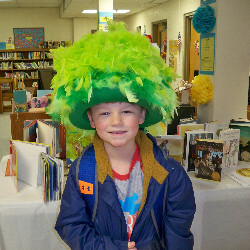 Listening to Dr. seuss books with their cute hats! 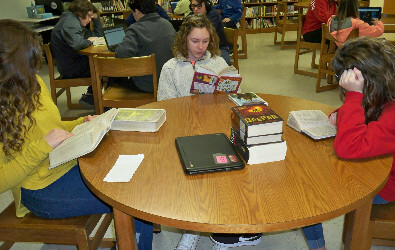 More seventh graders reading and AR quizzing! 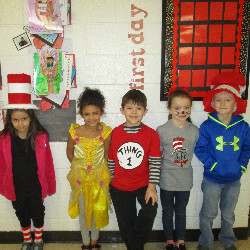 Mrs. Tammie Wulfert's class dressed up! 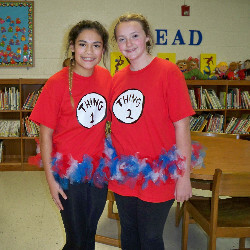 Sixth grade dressed in characters and Dr. Seuss! 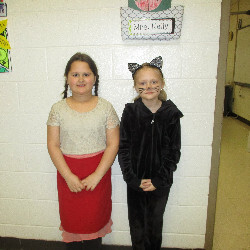 Fourth graders in different characters! 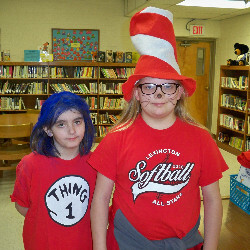 Dressed up as Seuss and other book characters! 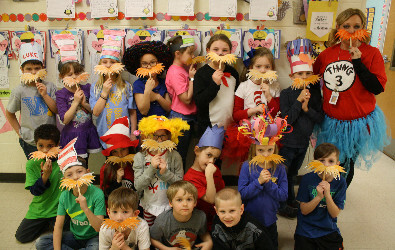 Also lots of characters...Seuss and others! 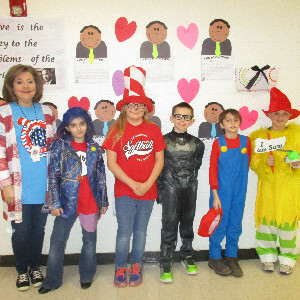 Mrs. Tina and her Seuss characters! 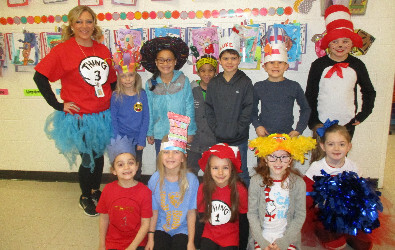 Mrs. Kassie and her Seuss characters and unique hats! 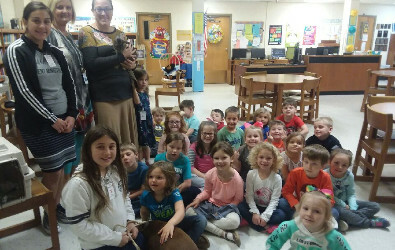 Pre-K has a guest reading Go, Dog, Go! 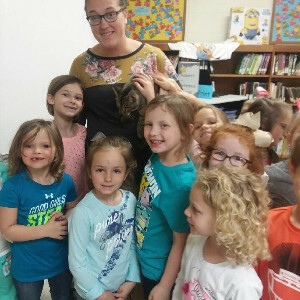 Mrs. Monica Rayas and her daughters, who volunteer at the Frances Hensley Animal Shelter in Lexington, brought Edward, the dog, and, Flannel, the cat, to visit the homerooms who made donations to the shelter. 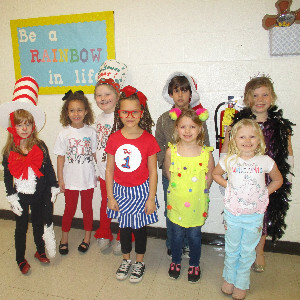 They went to the following homerooms: Mrs. Debbie, Mrs. Wilkinson, Mrs. Douglas, Mrs. Hayes, Mrs. Duncan, Mrs. Britt, Mrs. Pearson, and Mrs. Creech. 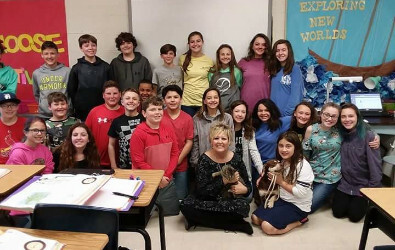 Mrs. Jamie Creech's sixth graders did a project to help the shelter and have a box in the library for donations that we are still collecting, so please continue to send them! Nitro Type helps improve typing skills while racing. Switcheroo Zoo has animal games and information. Highlights Kids has games, jokes, and exploring for kids. Mrs. 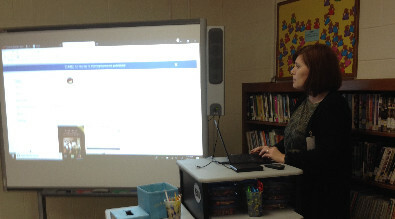 Crystal Ozier is showing our seventh graders how to use the R.E.A.D.S. program, using Overdrive and/or Libby. 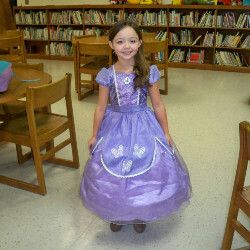 It is the eBook and Audio Book Download System administered by the Tennessee State Library and Archives. All you need is an internet connections and a library card/number. 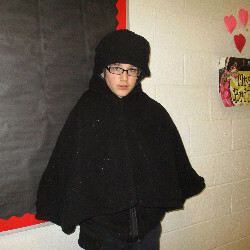 See Mrs. Jackson for more information.